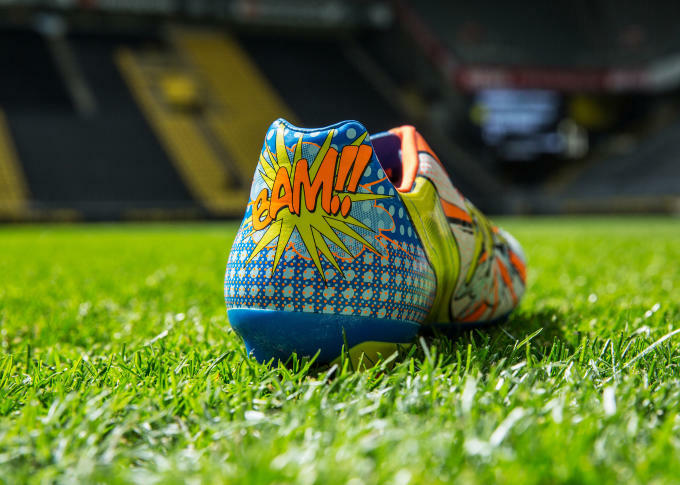 PUMA&apos;s latest boots look like they&apos;d be more at home in a 1960s Batman comic than on the turf at Wembley. 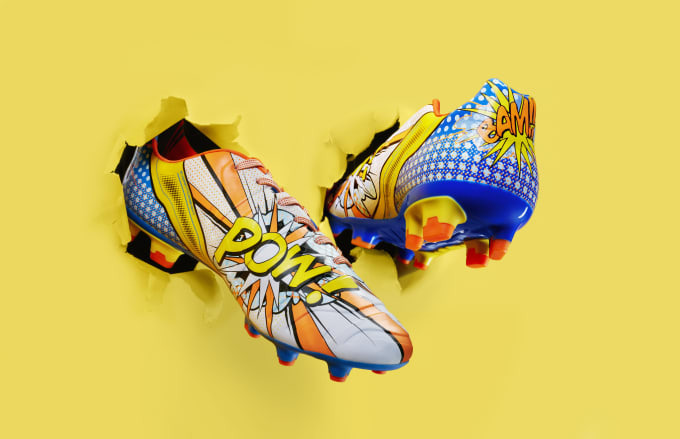 The brand&apos;s latest colourway for its flagship EvoPower silo takes characteristics from the Pop Art movement of the 1950s, the boot features two-dimensional graphics with clear colours, black borders and no depth that look like a comic strip – complete with &apos;BAM!&apos; and &apos;POW!&apos;. he new evoPOWER 1.2 football boot with the Pop Art graphics will be worn by Cesc Fàbregas, Mario Balotelli, Olivier Giroud, Yaya Touré and many more players when the international friendly matches kick off later today. These boots won&apos;t go unnoticed during your 6-a-side game. 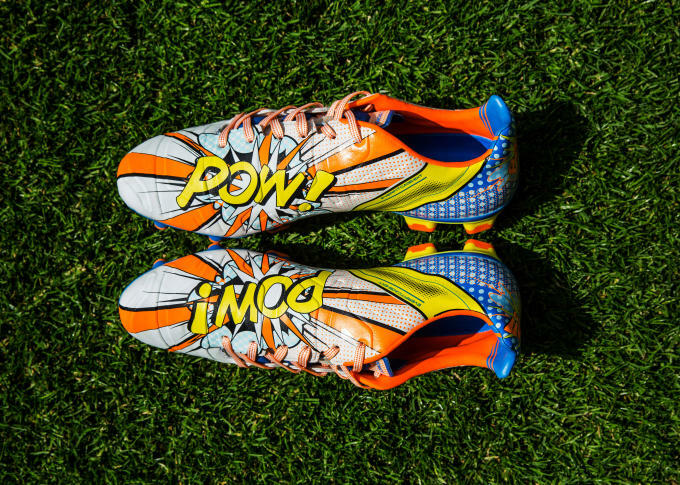 The new evoPOWER 1.2 with the Pop Art graphics is available for purchase on puma.com and at global football boot retailers from November 16.